In 2018 Romania celebrates 100 years since the union of its historical provinces, marking the beginning of the modern Romanian state. Join us for a performance of traditional music and dance, sprinkled with just a bit of history. 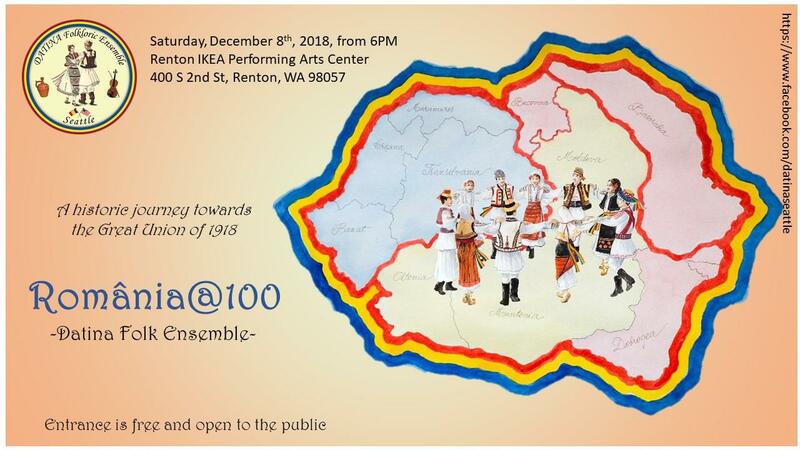 Datina Folk Ensemble will be joined on stage by Radost Folk Ensemble and The Cabiri.